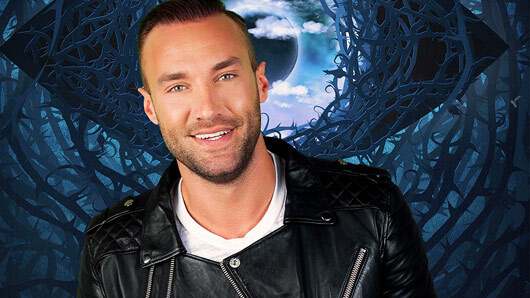 Is Calum Best joining Celebrity Big Brother? Calum Best has dropped a big hint that he could be appearing in January’s Celebrity Big Brother. It was recently confirmed that the upcoming series of Celebrity Big Brother will see new housemates face off against some of the show’s most famous contestants ever. Names such as Stephen Bear, Katie Hopkins and Perez Hilton have all been thrown into the potential mix – and now one potential possibility has also weighed in. Speaking to Daily Star Online, former 2015 Celebrity Big Brother contestant Calum Best said he was “going on holiday at the end of the year, but coming back to London in January to do some work”. What sort of work could he have in London, we wonder? The Daily Star pressed him about the rumours, to which he responded: “No comment… I’ve got a lot of time for Celebrity Big Brother, it has done a lot for me. It seems that Calum knows quite a lot about the subject for someone who has no comment to make! Earlier this week, the new logo from the upcoming Celebrity Big Brother was revealed by host Emma Willis over Twitter. The pop art style, accompanied by a flurry of multicoloured stars, illustrated perfectly the All Star vs New Star theme of the new series. Despite a heap of speculation over which celebrities will be entering the Celebrity Big Brother house, we will not know the full line-up until the show airs in January 2017. What we do know is Emma Willis will return to host (of course) and Rylan Clark-Neal will return to host sister-show Celebrity Big Brother’s Bit on the Side. Celebrity Big Brother will return in January 2017. « Who will join Alan Carr for the Chatty Man Christmas Special?